Home News Markets Does mining’s ‘dirty, unsafe’ reputation harm valuations? Does mining’s ‘dirty, unsafe’ reputation harm valuations? GENERALLY speaking, mining stocks trade at a discount to the market, even the powerful ones that rank highly on the Johannesburg Stock Exchange such as Anglo American, Glencore, BHP, and South32. These are multi-nationals producing a range of minerals essential to daily civilisation from a variety of geographies. They ought to be doing better as an investment offering. This idea was explored in a note by Bernstein, a New York-headquartered bank which made the point that the sector operates in a situation where demand growth has been continuous for the last 270 years. Moreover, the mining sector has no meaningful substitute to displace it; has incumbents that “… enjoy a fundamental competitive advantage over any new entrants, holding completely non-replicable industry position”, and doesn’t have any radical industry disruption on the horizon. Mining stocks did, in fact, show a remarkable recovery last year after commodity prices staged a comeback following three or four years of reversion. But on almost any metric compared against the broader market, they continue to trade at a discount, be in ‘price-to-book’ or ‘price-to cashflow’. There are a host of examples to draw from where ESG works to depress mining stock valuations. Goldman Sachs said in a recent note on Sibanye-Stillwater that notwithstanding the tragedy at its Driefontein mine in which six miners lost their lives following a seismic event in May, the accident would have no impact on its fundamental business case. Yet the protest made by the Association of Mineworkers & Construction Union (AMCU) around the event – some of it justifiable – which then drew public attention to subsequent, but much smaller and quite typical seismic events – unjustifiably – raised the ante on regulatory and workforce risk for the company. The fatalities were aired in South Africa’s Parliament among the members of a select committee, and then taken up by the mines minister who has called a safety summit for November. Few other sectors of the economy are so at risk to political intervention than mining. Although not listed in Johannesburg, Vedanta, last week saw one of its large copper smelters shut by India’s Tamil Nadu state following the deaths of 13 protestors who were demonstrating against the smelter’s poor environmental track-record. It’s a blow for Vedanta as the 400,000 tonne/year copper smelter was forecast to contribute about 5% to pre-tax earnings, according to a report by Goldman Sachs. The closure halves India’s copper production. “ESG issues are fast becoming prominent factors that influence investment decisions, particularly in mining,” said a UK bank that is not permitted to be quoted by the media. It’s for reasons of ESG that South32, for instance, decided to divest from its thermal coal mines in South Africa. As early as 2016, a year into South32’s existence following its unbundling from the then named BHP Billiton, the group’s CEO, Graham Kerr, was raising the risk of having exposure to thermal coal. “We wouldn’t look for new coal investments as it’s not worth it for the investor exposure,” he said. 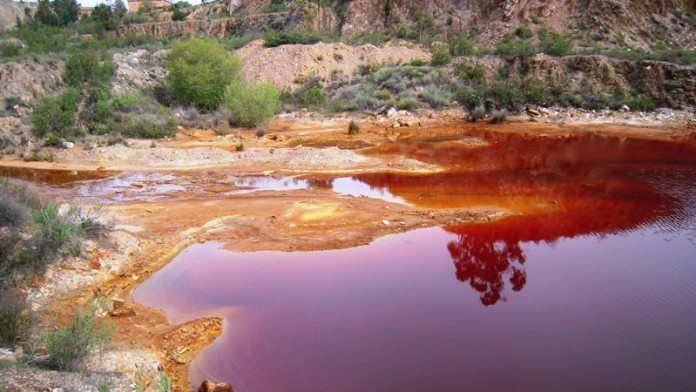 As for BHP, it is contending the continuing fall-out of the Samarco disaster in Brazil in which a tailings dam, holding the discards of iron ore mining, burst killing scores of people in the nearby village. The mine is jointly owned with Vale, Brazil’s state-run mining group. According to analysts, the potential legal action and censure following the disaster represents ‘an open liability’. Said one: “Open liabilities present high levels of uncertainty. Past examples highlight the uncertainty on timing and settlement cost. Timing can range from six months to + 20 years and final costs from zero to north of $65bn”. In South Africa, there has been particular introspection among the Chamber of Mines which has subsequently re-branded itself the Minerals Council of South Africa. A ‘council’ sounds more inclusive than a chamber which has more negative connotations – read echo-y hollowness – than good ones. Mxolisi Mgojo, president of the council, said at its recent annual general meeting that a R4bn out-of-court settlement between the country’s gold miners and miners suffering from tuberculosis and silicosis contracted whilst employed on the mines was “… one example of what can be done with good cooperation and careful strategic planning”. There’s also the prospect that the regulatory dissonance of the last three years will be replaced by greater agreement with the Minerals Council and the Department of Mineral Resources undertaking to re-negotiate the Mining Charter, although the final shape of that document is yet to be decided. Or mining companies have lower valuations due to the fact that cash flows are more risky since they are price takers, and hence a larger discount.